new | A. LOPEZ JR. 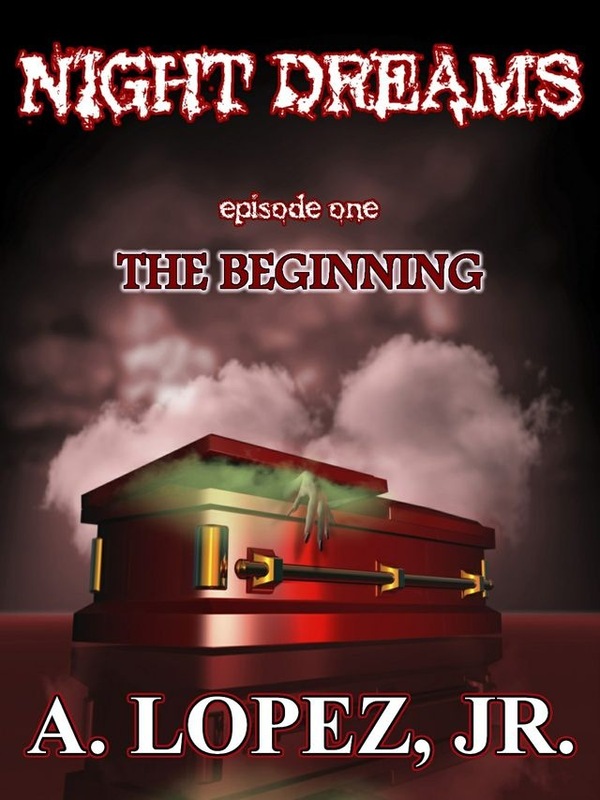 I have completed the first story (episode 1) of my horror series Night Dreams. It checks in at over 22,000 words before editing, which is taking place right now. Episode 1 is titled The Beginning, and details how it all started for Dream Psychologist Dr. Joseph Rickettes. I hope to have it available in eBook format by Halloween. Here is a synopsis: Serialized fiction that follows a Dream Psychologist, Dr, Joseph Rickettes, who has no choice but to live out the nightmares of his patients in hopes of curing them of their demons. He is bound by the demons in their dreams, while he struggles to make sense of the nightmares that plague his own life. I am working on Episode 2, yet to be titled, and plan on having that out soon. 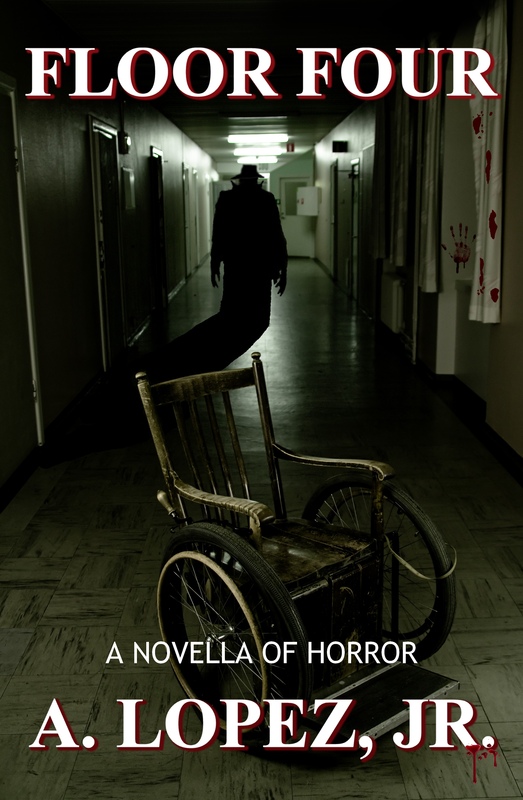 I will be unveiling the cover art for the horror novella Floor Four within the next couple of weeks. It’s been awhile since I last ‘blogged’, which may make it look as if I haven’t been very busy. Even Twitter has suffered in the last couple of months. Aside from work and everyday life’s needs keeping me busy, I have been working on a couple of different projects (along with the change of the look and feel of this site), that I hope to have done and out to the masses by Halloween, (we will see if that works out the way I hope). I am working on three different writing projects personally, and I am also working with Kathryn Stelher, who is finishing her first romance novel Time Doesn’t Wait, to be published under the Ace-Hil-Ink brand. I’m not one for reading romance stories, but I do look forward to reading and helping with editing her final product. She plans on releasing it this December. Of the projects that I am working on, the one that is taking a majority of my time is my Serialized Fiction Series Night Dreams. – A Dream-Psychologist takes in patients who are having horrific nightmares that feel so real and dangerous that they seek help in a psychologist who specializes in extreme nightmares. Dr. Rickettes has a talent, skill, or curse that helps him rid them of their nightmares – I plan for each episode to be in the short story/novella range of 15,000 to 20,000 words. The first one, yet to be sub-titled is already in the 13,000-word neighborhood. I am also working on finishing my novella Floor Four. This story was released in my book, Purgatory-13 Tales of the Macabre, last October. The abrupt ending, (no spoilers here), is what I am working on, to be released as a stand-alone story. It is by far the longest of the 13 stories in Purgatory and was originally planned to be its own novella. But as I was in the middle of writing it last year, I decided to put it in the book as a teaser. Again, I hope to have this out by Halloween. My third project is a shift in genre. It is a baseball story that I am dedicating to my father. He taught me everything i know about the great sport. I have no deadline on this one as I am taking my time to take in all of the accounts of my personal experiences. It will be fiction with a lot of real life experiences mixed in. That’s the update. I plan on posting more often. I hope your writing, reading, or whatever keeps you busy is going well! Congratulations to the 4 winners of Purgatory – 13 Tales of the Macabre. The contest ran for 3 weeks and ended on May 7th at midnight. First of all, I want to thank everyone who followed, left a reply, comment or re-tweeted one of my posts on Twitter. As I try to get this new blog off to a good start I hope to connect with others through here and any other social network we can. I will be contacting the winners and getting their copies to them. Again, thank you to everyone who showed interest. I look forward to reading your blogs and interacting with you. To help celebrate my new blog and get it off to a good start, I am giving away 4 signed paperback copies of Purgatory – 13Tales of the Macabre. To find out more about it, and read the synopsis, hit the Fiction tab above. To enter the contest you must 1) currently be a follower of this blog or sign up to follow and 2) leave a comment with your email to contact you if you are a winner. Another way to double your odds is to follow on Twitter @acehilink and retweet one of my posts there about the giveaway. The winners will be selected on May 7th at 11:59 pm pacific time. We will use random.org for selecting our winners. Good Luck!